Aden (AFP) - Al-Qaeda fighters drove pro-government forces out of a town in southern Yemen Wednesday in a new show of strength by the jihadists, who have exploited the country's turmoil to expand their territory. Yemen, home to what the United States considers Al-Qaeda's most dangerous affiliate, has been convulsed by unrest since Iran-backed Shiite Huthi rebels seized Sanaa in September last year. Al-Qaeda in the Arabian Peninsula (AQAP) has tightened its control over parts of southeast Yemen, including Mukalla, the capital of the vast province of Hadramawt, imposing a strict form of Islamic law. 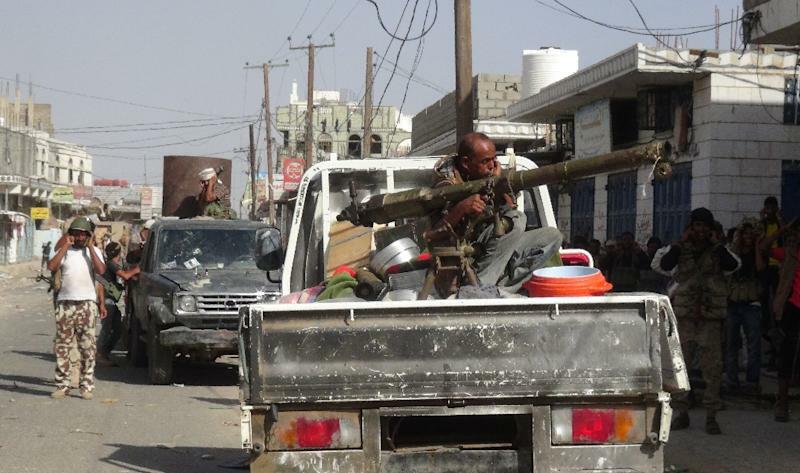 On Wednesday the jihadists seized Jaar, in the province of Abyan to the west, in fighting that killed 15 people. 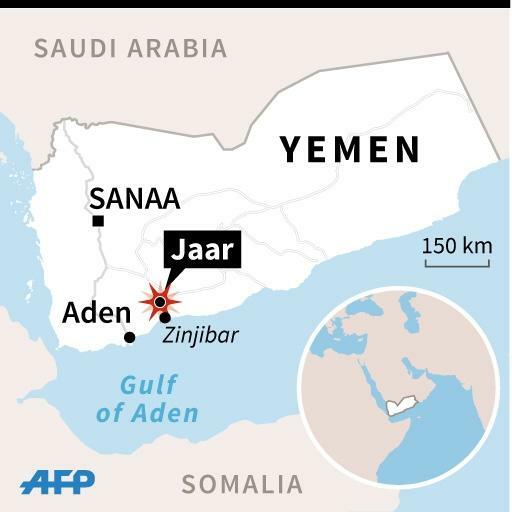 Officials described Jaar as a key link between Al-Qaeda-held parts of the country further north and Aden, the southern base of President Abedrabbo Mansour Hadi who returned from exile in Saudi Arabia last month. Jaar is a stronghold of the pro-government "Popular Resistance" which includes Sunni Islamists, tribesmen, loyalist soldiers and southern separatists who have been fighting the Huthis. The Al-Qaeda jihadists blew up the main Popular Resistance headquarters in the town and hunted down pro-government fighters, most of whom fled, witnesses said. A military analyst in Aden, who asked to remain anonymous, described the assault as an attempt to "send a threat" to Hadi's government. 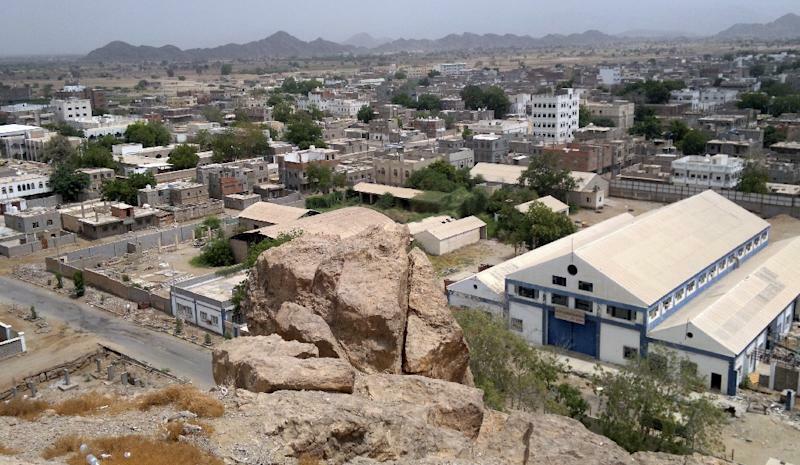 A militant leader announced on a loudspeaker that AQAP had full control of "the emirate of Jaar" and that residents were now safe and life could go on normally, locals said by telephone. Later, sources said the jihadists had "redeployed" across the town, after residents previously reported that the Al-Qaeda militants had withdrawn. Intelligence sources said the jihadists had "partially" withdrawn, while witnesses said they were setting up checkpoints. The jihadists had killed a Popular Resistance commander, Ali al-Sayed, and 10 of his fighters, along with four Al-Qaeda militants, said a government official in Jaar. Yemen has been engulfed by turmoil with pro-government forces supported by a Saudi-led coalition battling the Huthis and their allies for months. Underscoring the insecurity, two Red Cross workers were kidnapped in the capital on Tuesday by unidentified assailants. One was later released but the other, a Tunisian woman, was being held hostage, said the International Committee of the Red Cross. "The situation in Yemen is extremely fragile for an organisation like the ICRC and the national Red Crescent", said Red Cross chief Yves Daccord. A rebel website quoted a source in the Huthi-controlled Supreme Security Council as saying that security services in Sanaa had "intensified efforts... to find the kidnappers and detain them". Pro-government forces have retaken five southern provinces, including Abyan and Aden, from the insurgents since July. Islamist militants, including AQAP and the Islamic State group, have taken advantage of the chaos and appear to have gained ground in and around Aden, where jihadists are now visibly present. Since October AQAP has also occupied government offices in the Abyan provincial capital Zinjibar, 12 kilometres (eight miles) south of Jaar. They seized Hadramawt's provincial capital Mukalla in April, imposing Islamic sharia law. By pushing pro-Hadi forces out of Jaar, Al-Qaeda has secured its position in Zinjibar, sources said. This could allow them to strengthen their presence in Aden, while bringing in reinforcements from strongholds in Bayda, Lahj, and Hadramawt. The analyst described the move as a "show of force", warning that "unless there is a decisive response by the coalition and pro-government forces, the militants will carry out more significant operations". The United States has waged a long-standing drone war against AQAP militants, killing several of its leaders. In contrast, the Saudi-led coalition has not targeted Al-Qaeda and has focused its war on the rebels instead. "The coalition should not turn a blind eye to other dangers," the analyst said, accusing former president Ali Abdullah Saleh, a Huthi ally who was forced to resign in 2012, of using jihadists as a "tool" against loyalists. During an Arab Spring-inspired uprising against Saleh's rule in 2011, AQAP seized Zinjibar and other parts of Abyan. Its fighters were defeated by local army-backed militias a year later. Saudi Arabia faces growing casualties from the current unrest with eight civilians, including two children, wounded in cross-border shelling from Yemen on Tuesday evening, the civil defence agency said. More than 80 people have been killed in shelling and cross-border skirmishes in the Saudi border zone since coalition operations began in March. The United Nations says more than 5,700 people have been killed in Yemen since then, nearly half of them civilians.